Arthur Azzopardi has had his Nationalist Party membership stopped after he was outed as a former freemason, which has been banned by the party statute since 1991. 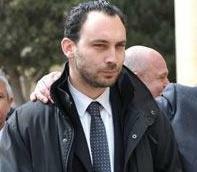 Dr Azzopardi, the lawyer representing Adrian Delia in his libel cases, was a member of two freemasonry lodges from which he resigned in 2011. As a result of his membership being cancelled, he will not be eligible to vote in the party’s leadership election on Saturday. The party general secretary Rosette Thake instructed Joe Borg, the chairman of the party’s Electoral Commission to strike him off the list of eligible voters, the PN said in a statement.